Remington Ultimate Defense 12 Gauge Ammo 2-3/4" #4 Buck Reduced Recoil 21 Pellets ammo for sale online at cheap discount prices with free shipping available on bulk 12 Gauge ammunition only at our online store TargetSportsUSA.com. 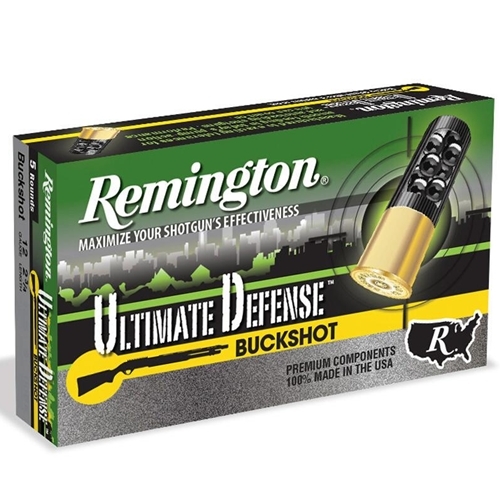 Target Sports USA carries the entire line of Remington ammunition for sale online with free shipping on bulk ammo including this Remington Ultimate Defense 12 Gauge Ammo 2-3/4" #4 Buck Reduced Recoil 21 Pellets. Remington Ultimate Defense 12 Gauge Ammo 2-3/4" #4 Buck Reduced Recoil 21 Pellets ammo review offers the following information; Remington Ammunition presents the shooter with an extensive variety of premium bullet developed to combine with the strict manufacturing tolerances to create ammo with which any shooter would be willing to take the perfect shot. Remington Ultimate Defense Buckshot ammunition is made specifically for home defense situations. 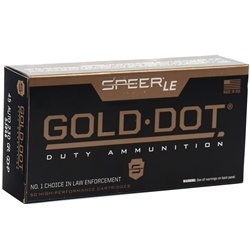 Each load uses high quality lead shot, boxer primed high quality hulls, and a 6 point start crimp on the top of the shell.